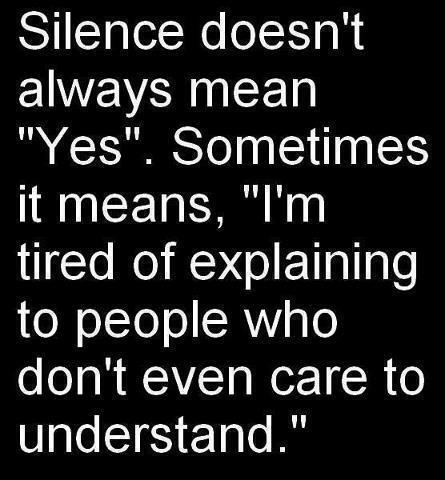 Silence doesn’t always mean “Yes”. Sometimes it means, I’m tired of explaining to people who don’t even care to understand. Quote : Silence doesn’t always mean “Yes”. Sometimes it means, I’m tired of explaining to people who don’t even care to understand.